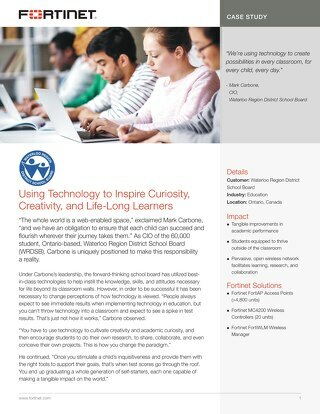 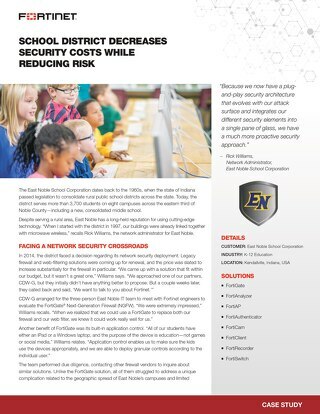 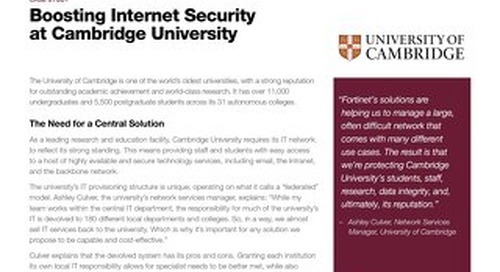 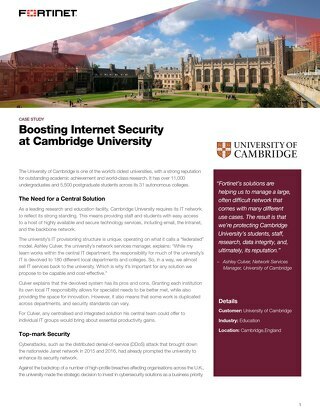 Learn how Fortinet protects Cambridge University's students, staff, research, data integrity, and its reputation. 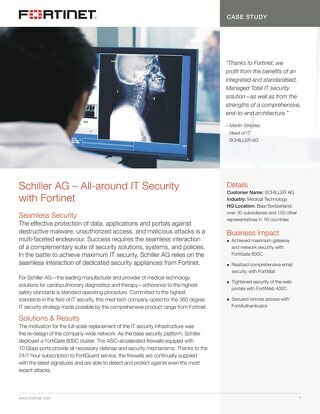 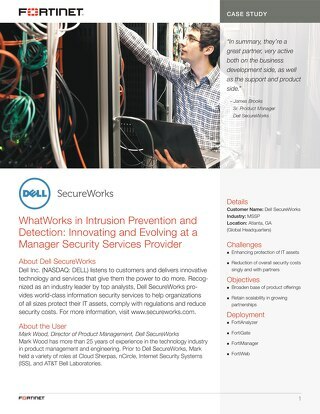 Learn how Fortinet helped an IT Solution Provider who fell victim to a ransomware attack. 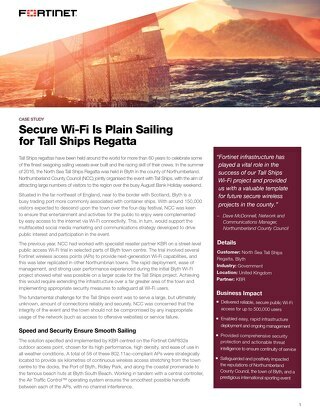 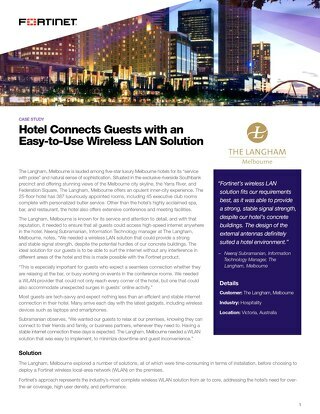 Fortinet provides secure wi-fi access with reliable connectivity for 150,000 visitors at large public event.